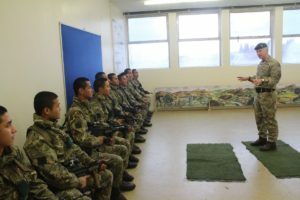 On the 19th and 20th March, Colonel Brigade of Gurkhas, Colonel James Robinson, visited Gurkha Company at the Infantry Training Centre, Catterick. 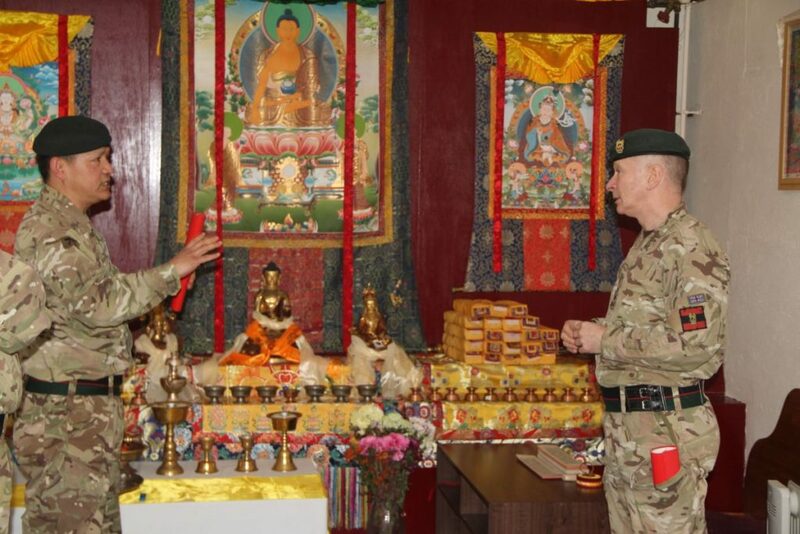 The main purpose of his visit was to see Recruit Intake 18’s new Gurkha recruits. He was hosted by Major Prem Gurung MBE, OC Gurkha Company. 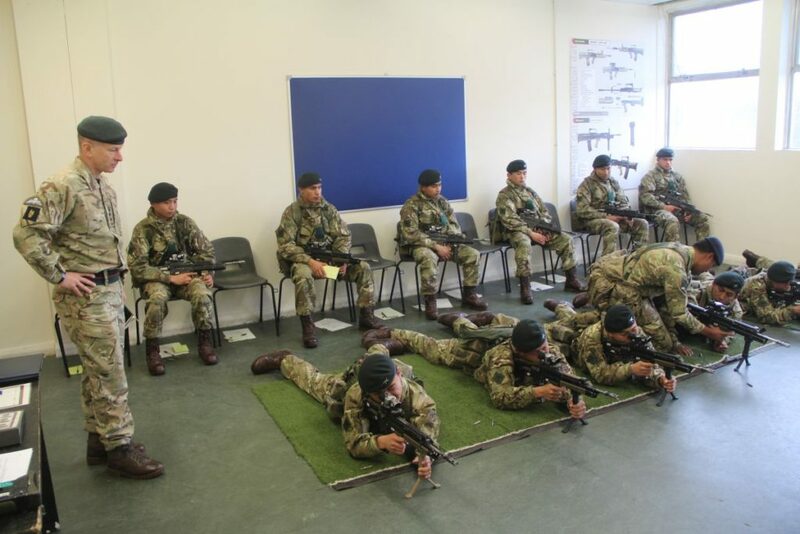 On the Monday he had the opportunity to see some of the recruits under-going weapon handling training and was able to speak to them about the journey to UK and their initial experiences at Catterick. He also paid a visit to the Bhuddist temple to discuss some minor upgrades required. In the evening he gave a talk to all 270 recruits in the Dining Hall. 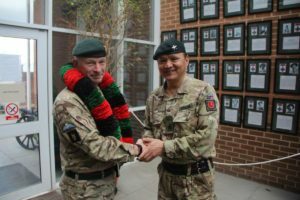 He congratulated them on being successful in the arduous Gurkha recruitment process and reminded them of the importance of upholding the Gurkha name, famous around the world, achieved by brave actions and hard work by their predecessors over 200 years. He then gave a talk to the Permanent Staff and conducted a question and answer session. Before departing he paid office calls on the Commandant School of Infantry, CO Support Battalion and CO 2 Infantry Training Battalion. On finishing he signed the Gurkha Company Visitors’ Book.